Eguchi Yosuke is my "first jdorama lead actor" in my life ~ one of my very first japanese drama i've watched - "Hitotsu yane no shita 1" ~ and Eguchi Yosuke was the lead actor in it ~ from that drama in 1993 to "Kyumei Byoto 24 Ji 3" in 2005 , he's still such a versatile actor ! and most imptly, his looks remained the same after so many yrs !! enjoyed watching his shows a lot ! I've been watching Eguchi Yosuke (he is the same age as I am) since Tokyo Love Story, to tell you the truth, I never would have thought when I was watching TLS how awesome an actor he would become. Watched him grow in his roles, he is a great actor, and everything he has been in since never disappoints. Love him! He's my age, so that rocks! He used to have long hair and looked like an American Indian. Isn't that weird! He looks much hotter lately. He used to have a singing career. He seems like a nice guy. Nice to look at, nice to listen to. Brilliant actor and he`s so cool and is awesome when he plays roles like in the dorama TRIANGLE where he is smooth, cool, but still passionate! 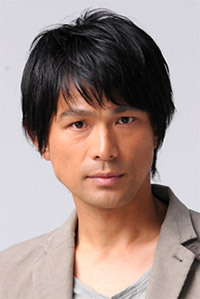 He was also awesme in Hitotsue Yane No Shita De! He certainly has the talent of what an actor must needed. He has done great jobs on Kyumei byoto 24 ji series!!! For his recently work on Toubousha - very well done!! like him in kyumei byoto 24, lunch no joou, shiroi kyoto & namida o fuite.. he can play any role from doctor to chef to baseball player prefectly!! He is a very good actor since i first saw him at tokyo love story until the last dorama i watch Shiroi Kyoto, his acting is great. He's great at the funny stauff and the seriuos stuff. I have seen many of his dramas, enjoyed them all I think. Wow. Look at all the dramas this guy's been in. Amazing. This is one hardworking actor. I love his work. 101 proposal gets me into watching his dramas ever since than. His is one of my fav actors to root for. he's charming. and his acting is top-notch. Despite being old (compared to my age), I really like him. He is a versatile actor!!! I love to watch all of his work and hope to have more to come. I am a big fan of Eguchi Yosuke. I try to collect every drama of his. A powerful actor that pulls you into scenes and is fun to watch. Brings such warmth & sincerity to any character he plays. He's always so funny and sweet. You can't help but love him! No idea y I voted for him... but I just like watching him. He is hawt! Versatile actor that can take on any role. I like him right after watching Under the same roof! He is a really good actor and plus he is so dreamy. In my book, he is second best to Takuya Kimura.